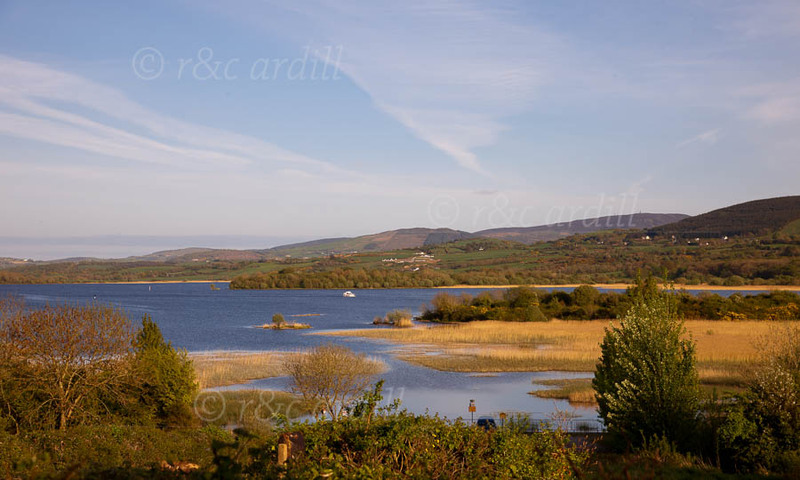 Photo of: West of Ireland: Clare: Lough Derg. This is a view of the southern part of Lough Derg. The image was taken on a lovely April afternoon. Lough Derg is one of the many beautiful lakes on the Shannon. The lake is surrounded by native woods and the shoreline is fringed by richly colored reeds.